You can write your own review of the Universal Radio LMR-100 SMA to SO-239 jumpers. With most newer HTs having SMA connectors, trying to screw either an SO-239 or BNC adapter on, use it extensively, causes handling problems, and will eventually take out the HTs SMA connector. This jumper is made of LMR-100, has heat shrink on each end and overall is very well made. 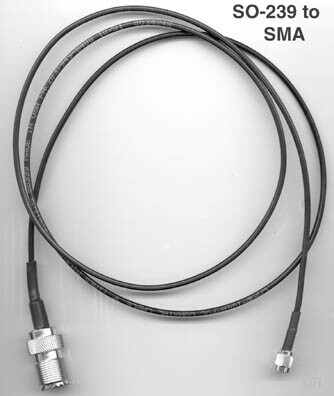 Avail for either SO-239 or BNC terminated antenna cables.